Japan PI Inc. is a bilingual Private Investigator Agency located in Japan, with offices in Tokyo, Osaka, and Honolulu. We’ve been in business since 2002, and our lead agent, Goro Koyama, has 27 years of experience as a Private Detective. Our concept is the fusion of private investigation and translation. We are the only field private investigators in Japan that specialize in international cases. 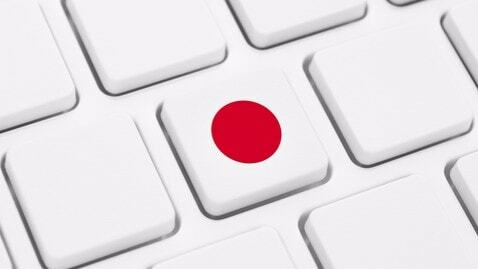 At Japan PI, we offer a range of Due Diligence services for foreign businesses such as Company Investigations, Employee Surveillance, and pre-Employment Screening. We offer a range of services for corporate investors such as Individual and Company Background Checks, Business Credit Reports, Intellectual Property Reports and more. We assist foreign Law Firms and Attorneys with legal support services such as Service of Process (Legal Docs), obtain Government Records, Witness services, and Asset Searches. Insurance companies deal with fraudulent claims all the time. But what if their claimant lives in Japan? At Japan PI, our bilingual agents investigate insurance claims and insurance fraud of all types. We serve high net worth individuals with their Private Investigation needs including finding lost family or missing people, background checks, child custody investigation, or infidelity in Japan. We serve you with honesty and get things done with the best efficiency. We specialize in assisting attorneys based on our rich experience in legal matters. We specialize in cultural bridge services with a fusion of private investigation and translation. Since 2002, Japan PI is the leading bilingual Private Investigation firm in Japan. We take pride in delivering result-oriented services while keeping our clients updated in real-time. Our investigative solutions can facilitate just about any intelligence solution you can imagine. Clients throughout the world benefit from our well-tailored information and unique insight. These factors are crucial for protecting companies, assets, and people. We cater to the demands of private individuals, investors, businesses, law firms and insurance companies. Our firm has been providing highest quality investigative services since its establishment in 2002. Mr. Goro Koyama, CEO of Japan PI, has been a Private Detective since 1993. We are the leading PI agency in Japan for surveillance, interviews, and desktop intelligence gathering. We have an extensive range of database access, as well as our proprietary database to track available corporate and personal data. Company related information Investigation, Background Checks, Due Diligence. Find missing child/spouse, lost contacts, runaways, or fugitives. Locate long lost family, heirs, or loved ones in Japan.